Before getting pregnant and starting that oh so exciting baby shopping, I had never heard of baby sleeping bags. Actually, when I first came across them whilst pregnant with Willow, I was a bit bemused by them but I did a little bit of research into them - and of course the alternatives - and found that for us, it made sense to give them a try. A safe way for our little one to sleep and hopefully an aid in promoting happy sleep, too. We first started using the Gro Company Gro-bags when Willow was nearly 8 weeks old, as she had finally reached the recommended minimum weight for the smallest Gro-bag size. Since then, sleeping bags have been our most used bedtime accessory, skipping blankets and duvets from 8 weeks until very recently. We've used them for the majority of Willow's 19-month life, all times of the year, at home and when travelling, staying with family or even when abroad on holiday. They're available in two different tog sizes; 2.5 tog, ideal for the colder months of autumn and winter and 1.0 tog, perfect for spring and summer. They are available in sizes 0-6 months, 6-18 months and 18-36 months, so you're covered well into toddlerhood. Each Grobag has underarm poppers on the 0-6 months size, which is ideal for anyone whose little one is slightly smaller and needs a more cosy fit. The travel Grobags, which is my favourite for how versatile they are, come with a 2-way front zip and a slot at the back to fit a 5-point travel harness. They've made with 100% woven cotton with a quick-dry polyester filling on the 2.5 tog bag, with a 100% jersey cotton throughout on the 1.0 tog bag. They're super easy to wash and dry and wash really well too, so you'll find it lasts well throughout the time you use it. I am completely converted to baby sleeping bags and would wholeheartedly recommend them - we plan to use them next time we have a baby too. For me, it's the ease of having bedding sorted all in one piece. You can pop your baby inside, get them all nice and snug, zip them in and you're sorted. No blankets for them to kick off, or worse, get caught up in. They come in different tog sizes so you can make sure your little one is warm enough all year round and they are a great way to get your little one used to bedtimes, as when the sleeping bag goes on, they soon get used to the idea that it's almost time for bedtime. The most recent sleeping bag we've moved into is the Apple Orla Kiely Travel Grobag, which has the most beautiful apple design. The Gro Company teamed up with Orla Kiely to create an exclusive range of designs and they really are utterly beautiful - we also love the look of the gorgeous Martian design too. For me, this is an incredibly exciting collaboration, as I'm a huge Orla Kiely fan and I love that a real staple in our bedtime routine for well over a year, has launched such a fan collection with gorgeous designs. You can check out the full Orla Kiely range at www.gro-store.com. Yes I have,I think they are good. The Orla Kiely designs are absolutely lovely. I don't know what we'd do without a sleeping bag, they put my mind at rest. I haven't tried them yet as my baby isn't due until October but I've only heard great things! Hali kinson: not tried these before but they look great! 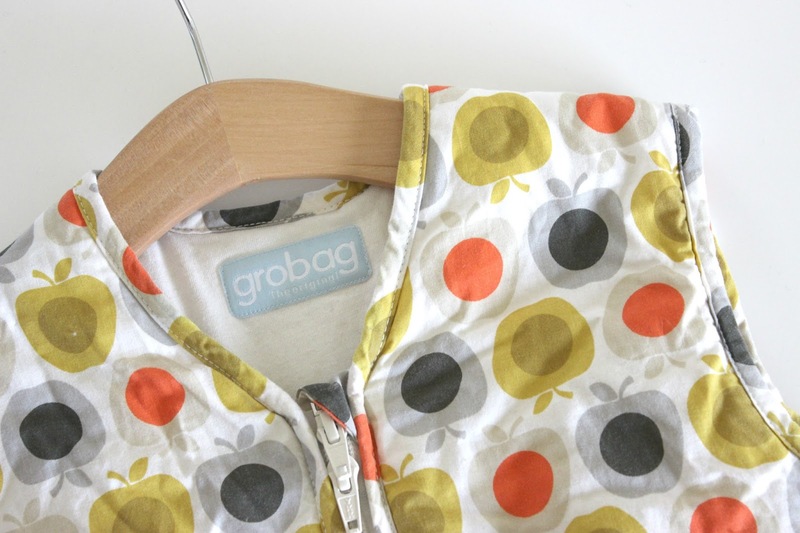 I love the Gro Bags, we used the Gro Snug as Harrison would only sleep swaddled and then moved on and would whole heartedly recommend them also, plus the Orly Kiely prints are lovely! I'm a huge fan of grobags! Really put my kind at ease in those early days. I'd definitely buy them if we have another baby in the future. We love sleeping bags! I was the same at first like wtf are these things? Another fad?! But honestly I couldn't live without them! Oooh what a fab giveaway. 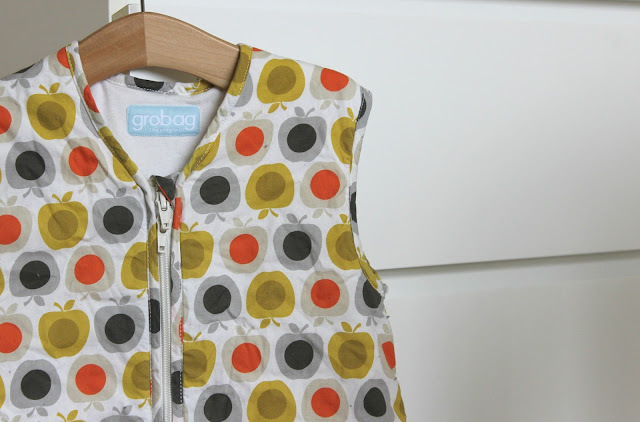 I love the Gro Bags but little has never liked sleeping in them - I was so gutted! The Orla design is lovely. I think grobags are great, ensuring baby stays warm all night, it's just about time they started making them in adult sizes! I love grobags! I didnt get to use them last winter but I have got myself a few for this one! cant wait til she can use them! I love the style of these! Yes, they are great for wrigglers! I have 3 children, aged 5, 4, and 18 months and I have used sleeping bags for all of them, specifically gro bags because they are best. I wouldn't feel safe putting a blanket on my baby because it could so easily ride up over their face. I will keep my 18 month old in gro bags until she has a toddler bed. Yes they are brilliant, got my 4th on the way and will be purchasing more Gro Bags! No we have never tried them, but would like to. not yet - but we're currently looking at them ahead of our december arrival. Yes, we used to swaddle her, but she has started to get too big for them so we moved onto the sleeping bags. Really helps her settle. Yes I have, I had no alternative as she kicked off all the bedding and I was forever covering her up only for me to go in the next time and she be uncovered again having kicked the bedding off. Baby sleeping bags are brilliant for fidgety babies. Yes, love them! Couldn't do without one. My eldest hated them, middle child loved them. Would love to see what number 3 thinks. Grobag's are a godsend, only wish they'd been around when I had my first child. We have always used sleeping bags like these. Much easier than sheets. I love baby sleeping bags, it's so good to know baby is warm enough and not going to kick the covers off in the night and wake up cold!